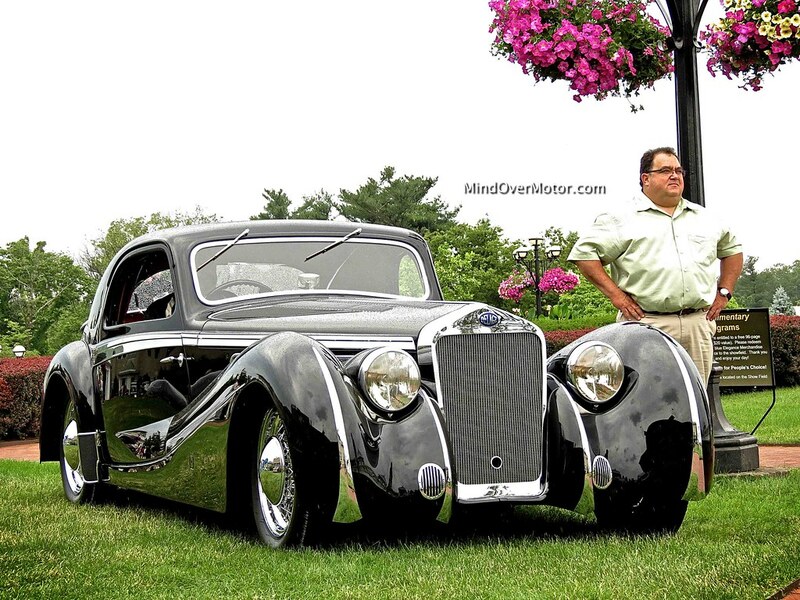 This Delage is quite a work of automotive art. 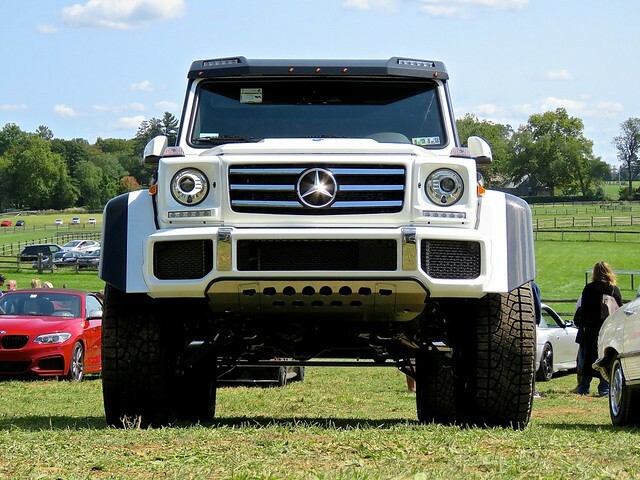 The fine details and the sheer craftsmanship of its build in addition to its seamlessly elegant design made it stand out at the Radnor Hunt Concours this year. 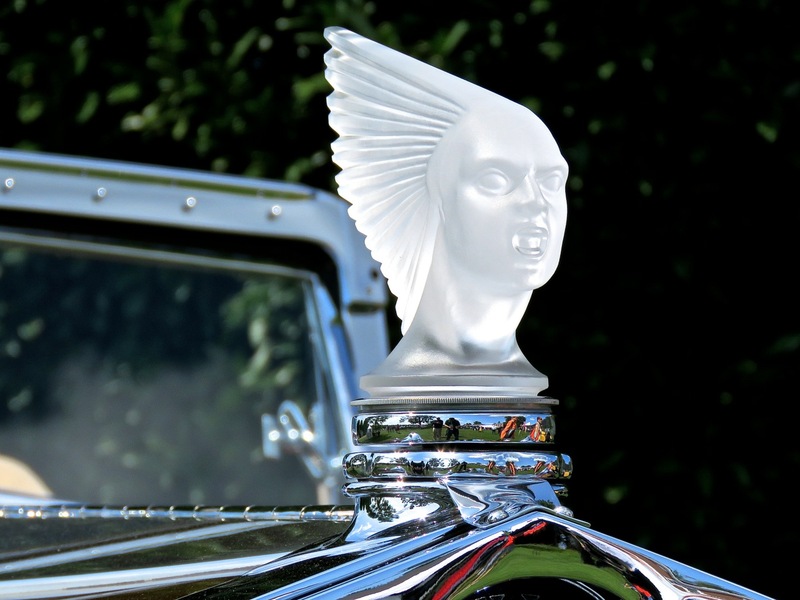 The alligator leather and the chrome trim were incredible, but the crown jewel of its details was definitely its hood ornament, a crystal woman with a swept headdress. Such a striking machine. I’ll let the photos do the talking from here. Enjoy the gallery! 1939, we all know what was happening in Europe at that time, but on the brink of the second World War, this Delage was competing in the last races before the onset of mass destruction. It was the end of an era for the automobile, and after the war things would be faster, but they sure wouldn’t look as good. I mean look at the swooping fenders on this thing, it was as much about style as it was about speed. Pre-war era racing was a unique time in automotive history, one that will never be equalled in many respects. Racing had a lot more charm back then, it was more dangerous for it, but that also added to the appeal. Enjoy daydreaming about this French masterpiece! 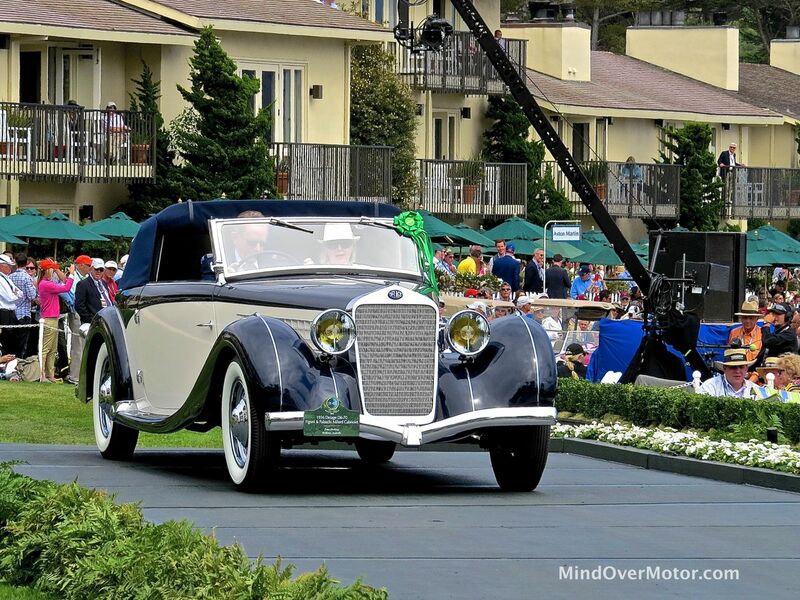 Here is the first batch of our highlights from the 2014 Pebble Beach Concours d’Elegance. It was a great year this year, with loads of unique automobiles in attendance, including 16 of the 17 remaining Ruxtons (shown above). 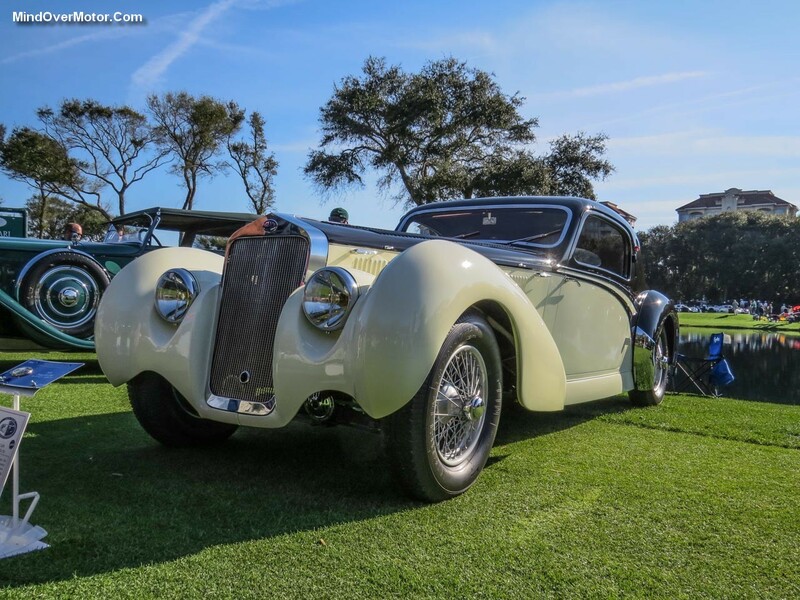 Maseratis were also featured this year for the marque’s centennial, as well as a stunning showcase of Ferrari 250 Testa Rossas, and some truly beautiful machines with coachwork by Darrin. This is rolling artwork at its finest, so enjoy the photos. There’s much more to come! That is a phrase I must have heard uttered over a dozen times during the weekend of the Greenwich Concours d’Elegance by people gazing at the magnificent pre-war automobiles on display. And they definitely don’t make cars like these anymore. In fact, most manufacturers of these majestic machines have long been defunct. 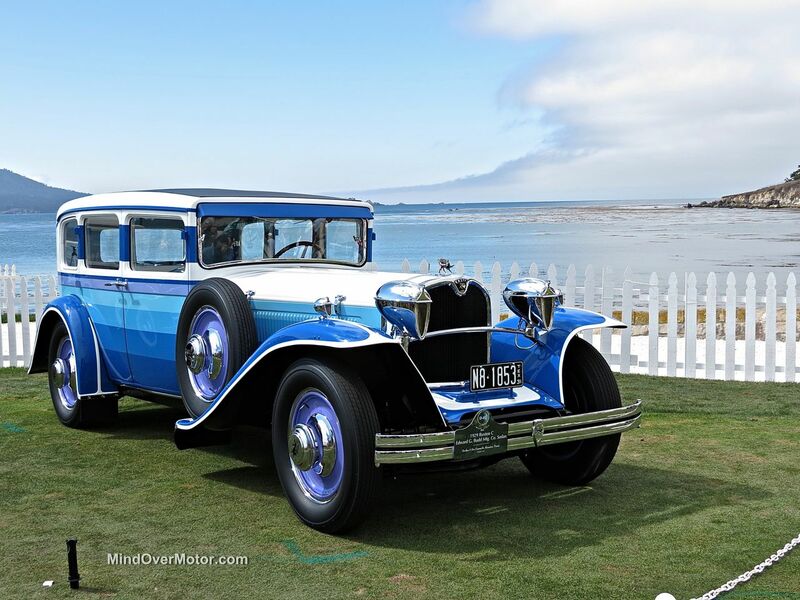 The likes of Duesenberg, Packard, Minerva and Delage are all absent from the vocabulary of modern automobillia, and it’s a real shame because the cars they made were nicer (relatively) than even the top-of-the line Rolls Royce today. In fact, as I’ve said before, Rolls Royce is really the only company from this era that still makes the same type of cars today as it did back then. Cadillac and Mercedes-Benz still exist, but have both moved their base of operation far down market. 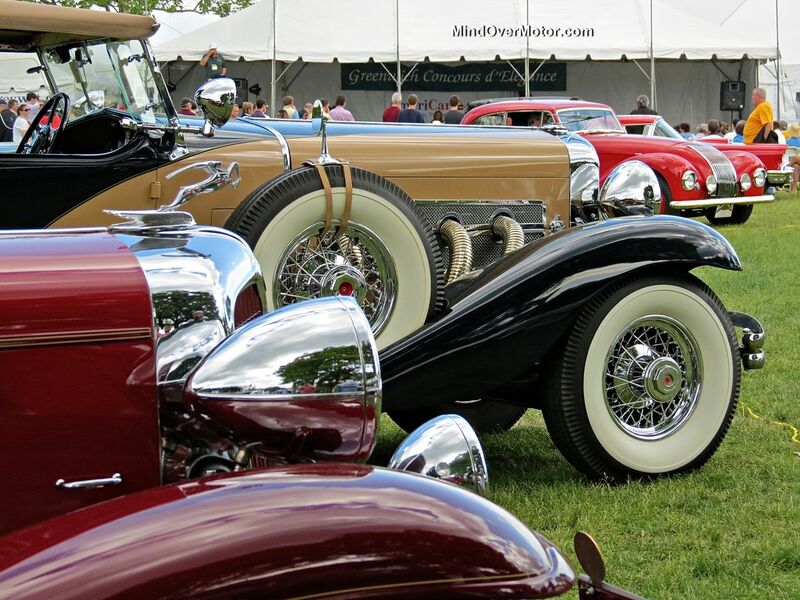 Yes, the pre-war era was a different time, when the automobile was a blank canvass for craftsmen to as they pleased. There was a lot of art-for-art-sake in these cars, and that’s something that is mostly absent from modern cars now that accountants and health and safety people run the show. So the relative gray-scale of the cars we know today makes ogling over these pre-war gems an activity to be savored. I am really hoping for a renaissance of creativity in the auto industry, where the artistry will come back and add to all of the modern technology and design. The cookie-cutter designs of modern cars have gotten extremely old, and a design that aims to please anyone is also boring to everyone. So I’ve got my fingers crossed. For now, though, just enjoy gazing at these incredible pre-war machines. The attention to detail, and the sheer craftsmanship is simply breathtaking to behold. Enjoy the cars! 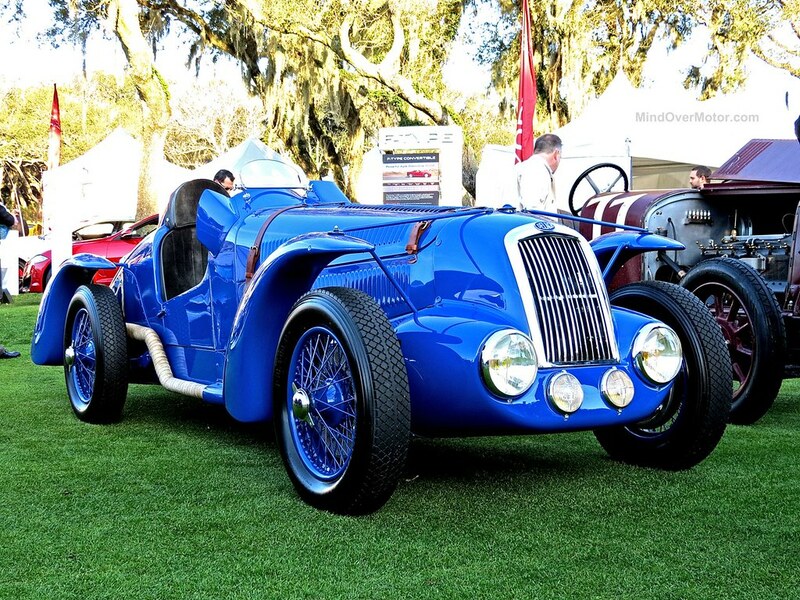 We attended the 2014 Amelia Island Concours d’Elegance last weekend and were absolutely blown away by the quality of the cars that were present. This post is a highlight feature on the pre-1950 era cars that caught my eye at the show. The post-1950 era highlights will go up on Friday and there are many more individual features to come. 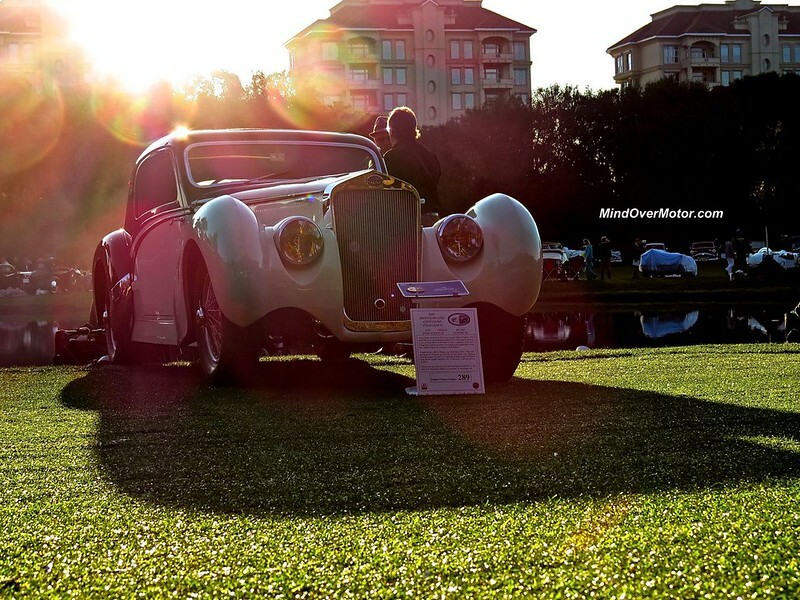 Enjoy gazing at these magnificent automobiles. 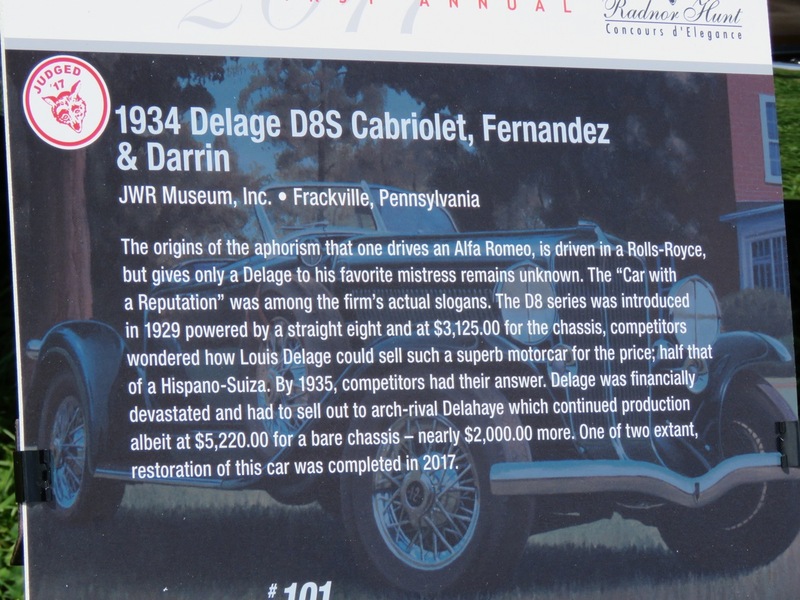 Most of the cars we feature are quite special, but this Delage D8 120SS Aerodynamic Coupe is a special sort of special. This car is the only one of its kind, a unique short wheelbase variant of the D8 120S Aerodynamic Coupe. Going off of what I’ve found about this car, the 120SS shares the same 4.7L inline-eight cylinder engine found the D8 120S. Producing as much as 160hp, this motor gave the car quite a large amount of punch for its day. 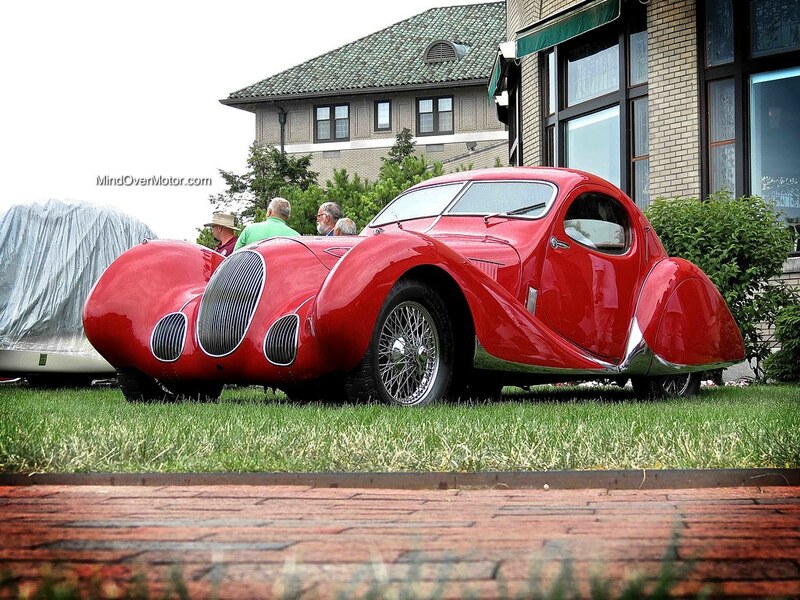 Its top speed was said to be in excess of 115mph. Originally the D8 120SS was a commission order for some European prince, but after World War II it wound up in the Gerry Albertini collection in London. Today it has been recently restored by RM Restorations, and is poised to be a major contender in the concours circuit. This is one truly stunning automobile, likely my personal favorite from The Elegance At Hershey this year. We wound up only having a short time to get our photos this year, on account of bad weather, so I hope to see the car again soon to capture even more of its details. That said, I am happy with the photos I got, so enjoy.